By now it should be clear that I’m a fan of indies. 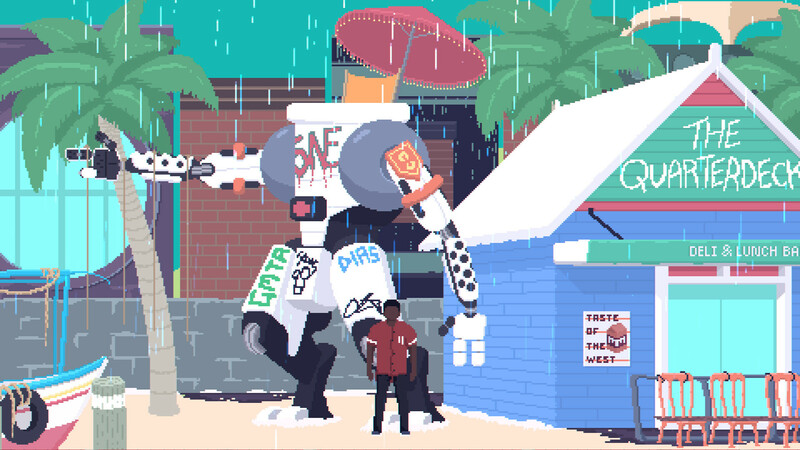 So when I was totally blown away by the visual style and panache of Desert Child at E3, I decided to interview the creator. His name is Oscar Brittain, and he kindly agreed to do an interview via email. The following is a transcript of my questions followed by his responses. You can check out more about Desert Child and Oscar Brittain by visiting them at their website, liking them on Facebook, tweeting them on Twitter, subscribing to them on YouTube, and following them on Instagram. This interview has been lightly edited for grammar and clarity. 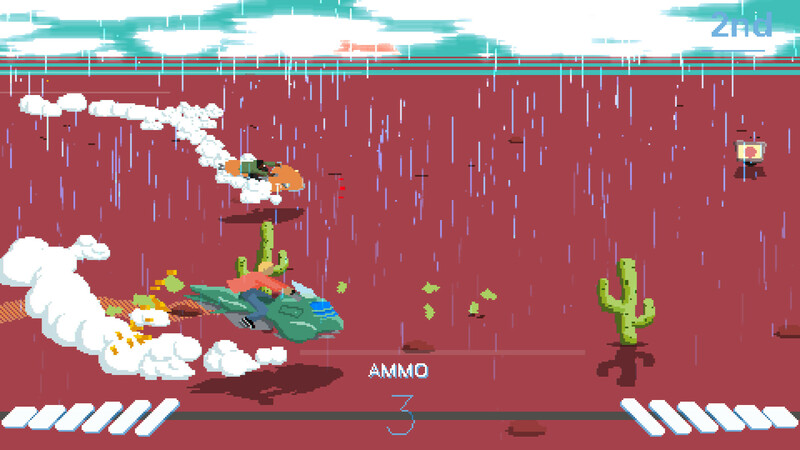 Operation Rainfall: First of all, why did you decide to base an entire game around hoverbikes? Oscar Brittain [Desert Child‘s Developer]: I finished my last game in 2016 and wanted to get some work doing art for hire jobs, so I started drawing some pixel art for my portfolio. One of the things I drew was a guy riding a hoverbike and thought “oh crap, why did I draw him side-on?” So I tried to come up with a game that could used a side-on image of a hoverbike, and the idea ended up being pretty good so I kept making it. OR: How integral to the game is the overarching story of an Earth fallen into ruin? OB: It’s not so much in ruin as much as its just kinda crappy now haha. There’s a lot of backstory about culture and politics on Mars that kinda alludes to Earth being a bit of a backwater that no one likes anymore. I guess It’s just further incentive that, if you don’t win races, you’ll have to go back there. 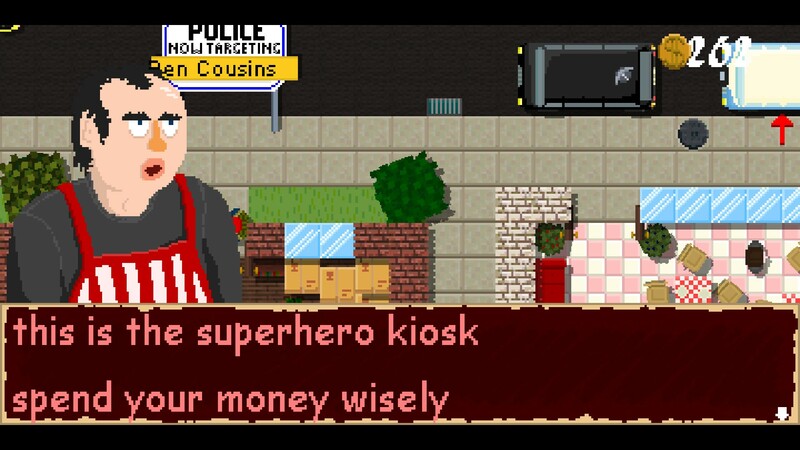 OR: The game is focused around doing odd jobs to get enough money to leave Earth. Is there any sort of a in-game time limit or ticking clock you’re working against? OB: Yep! Each race is a single day, and you’ve got to get off Earth in two weeks. OR: Can you discuss how the customization features work in the game? OB: It works kinda like the inventory system in Diablo. 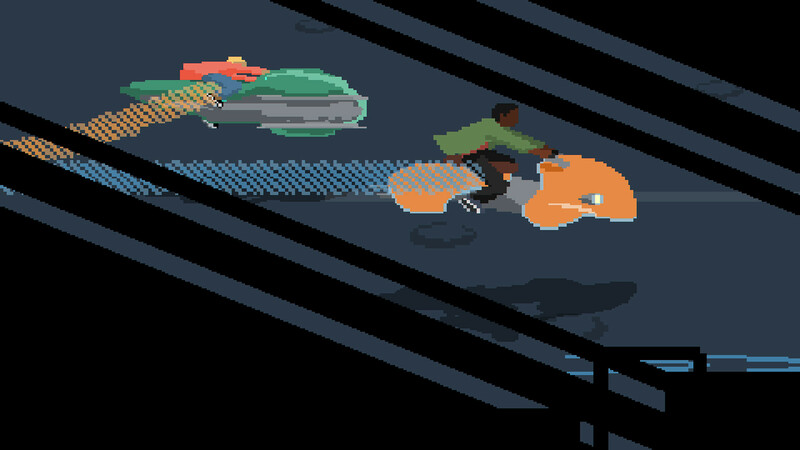 You get new bike parts throughout the game and slot them onto your bike’s power grid. Some parts can have their effects multiplied by overcharging their power input, too, so you can get to a point where your bullets are overcharged so much that they take up half the screen. OR: The music I heard while playing the demo of Desert Child was phenomenal. How were you able to create such a wonderful soundtrack? OR: Likewise, the art in Desert Child was really eye catching. How did you learn your pixelated craft, and how long have you been an artist? OB: I never really learned anything properly, I just always liked drawing as a kid. I saw Paul Robertson’s work a couple of years ago and thought Pixel art seemed cool, so I tried to develop my own look. OR: One of the most challenging facets of crowdfunding is patching a game post launch. As a one man team, how much confidence do you have you can keep up with the pace of regular updates? OB: I’d like to think that I can get everything right on launch haha. But yeah, if there’s a problem after launch then I’m pretty confident I can keep on top of things. OR: About how meaty of an experience is a single playthrough of Desert Child? Is there much replay value? OB: Yeah there’s 5 different play styles you can choose from at the start of the game, and they change the game quite a bit. On top of that there’s music and unlockables that carry over between playthroughs, like a new game+. 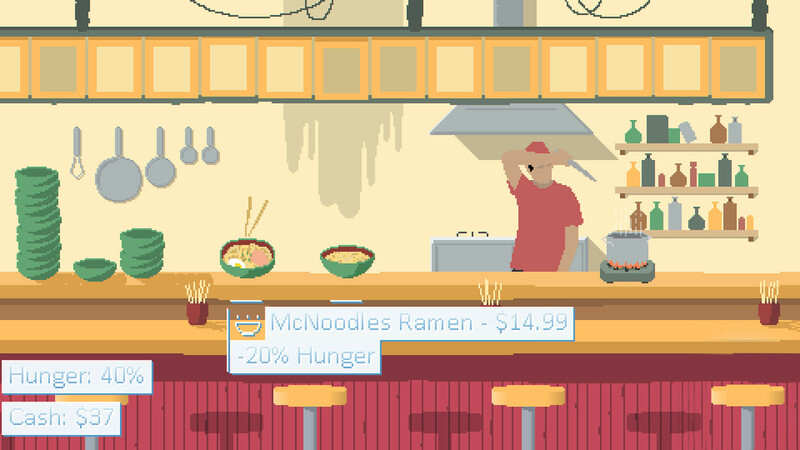 And there’s a bunch of different foods and items in the game that will make every playthrough turn out differently depending on how you choose to spend your in-game money. OR: Is this your first time developing a game? OB: Nope. I released World’s Fastest Pizza on Steam in 2016 and I’ve made a crapload of joke games about Australia. OR: Besides doing odd jobs, eating food and saving money, are there any other game modes? Are boss fights a thing? OB: I hate boss fights haha. There’s ten different jobs you can take in the game; Racing, herding kangaroos, delivering pizza, bounty hunting, and there’s a multiplayer race mode, but a lot of the diversity in the game comes from playing using different tactics or items to try and get better ratings on levels. OR: Does earning tons of fans in the game world provide any distinct gameplay benefits? OB: Just like in real life, fame means nothing haha. OR: Anything else you want to say to our readers? I’d like to thank Oscar for taking the time to answer my questions, and many thanks to the kind folks at Akupara Games for helping set up and coordinate the interview. Please stay tuned to oprainfall for our upcoming review of Desert Child. All images are courtesy of Akupara Games. Are you excited to try out Desert Child on Switch?